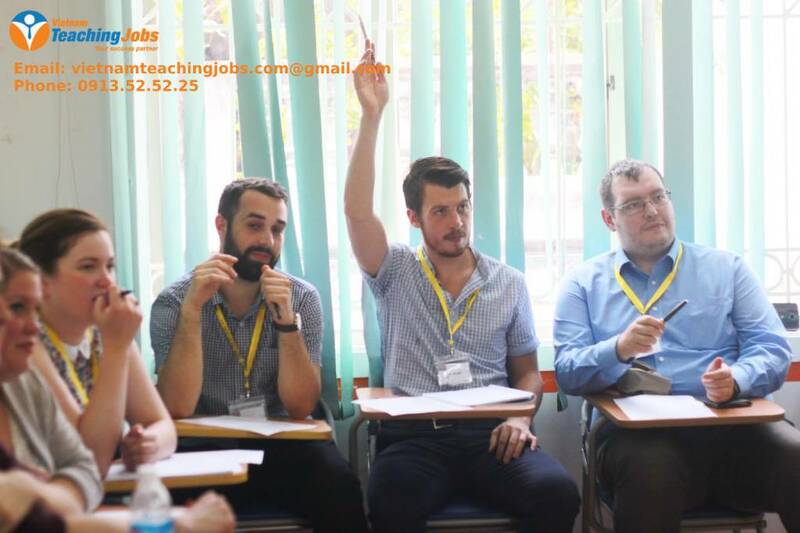 Vietnam Education is in need of native English teachers ! One of the current worrisome situations for university education is that students lack basic knowledge in English are accounting for a very high rate even though there have been many innovations in teaching and learning methods in many universities and colleges. 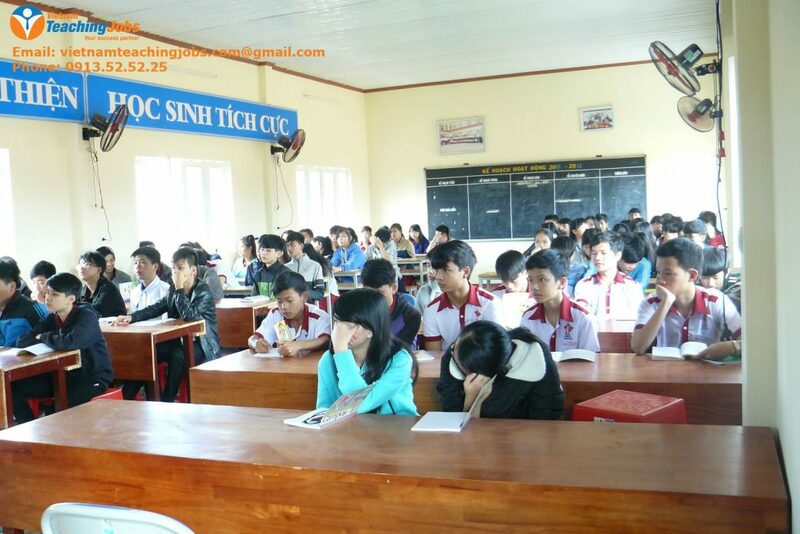 According to survey data at 18 universities in Vietnam, the average first-year student scores at 220-245 / 990 TOEIC points, and for this level students need about 360 hours of training. to achieve 450-500 TOEIC points – the point that many businesses are considering is the minimum for them to accept the application. However, according to survey data of the Department of Higher Education, schools usually only have about 225 English lessons for students. With a short amount of time, this is not enough for teachers to teach and for students fully absorb all 4 skills of listening, speaking, reading, and writing. First, there is a big difference in their English ability in one class. Usually in a class, there will be levels from elementary (including students who learn English for the first time) to intermediate level (for students who have studied English for seven years); Most of the city students have better English proficiency than their peers in the provinces, rural areas because they have access to English from a very young age already. Such multi-level classes will make it difficult for teachers, making it difficult for them to manage all students, thereby hindering both teaching and learning. Freshmen when entering the school, there are those who do not know anything about English must be basic training from the beginning. Besides, many students have advanced English level, so if they are trained as primary students, it will be very wasteful and time-consuming. Secondly, when entering universities – colleges, many students face major obstacles when studying this subject. This is due to the fact that the English language program in High School is too heavy. From grades 6 to 12, there are 16 lessons in a school year with different topics. The content of the program is overloaded compared to the allowed time, not enough for teachers to transfer all 4 skills to students but mainly only learn grammar and vocabulary, less practice in listening and speaking skills. Thirdly, the English training in the non-professional schools is often more urgent and focused on specialized English while the basic knowledge hasn’t been mastered by many students. Therefore, students cannot communicate because they do not have the basic knowledge of structure and vocabulary, they can’t understand specialized English either. In short, the current status of learning English at non-language schools is a concern. It is common for students to learn a language but cannot use it. Therefore leading to the general situation is the ability of students to use English when going to school will be very limited and in the current working environment is very difficult to meet the needs of employers. Therefore, given the awareness of the causes, the status of English students at present, there has been many openings of English centers and English institutions to resolve the problem. These places are helping Vietnamese students to be confident in English and be able to communicate effectively in English. In order to be successful, these English centers and institutions are in need of qualified English teachers, especially native English teachers. 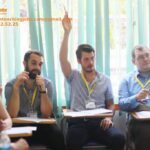 Native English speakers from all around the world are coming into Vietnam to fulfill the role of English teachers and to help improve English education in Vietnam.